Nice is the capital of the Riviera, yet far less glamorous and expensive than Cannes. It's also one of the most ancient, having been founded by the Greeks, who called it "Nike," or Victory. Because of its brilliant sunshine and relaxed living, it has attracted in the past famous artists and writers. The best trip center on the Riviera, you can choose to explore region or hang out in its famous cafes. But the most obvious hangout spot here is the beach. The Nice beach is rocks, just rocks so wear a pair of good sandals. Promenade des Anglais, Musee Matissee, Russian Orthodox Cathedral, Cours Saleya, Castle Hill, Old Town, Place Massena and so much more! The fortified city of Avignon is located in the lush vineyards of the Rhone Valley, rich in history, artistic brilliance, and Provencal life. From churches and chapels to film festivals and street musicians, Avignon was named the European Capital of Culture in 2000, and the city has been one of France`s major artistic centers for centuries. Whether you`re exploring the scenic waterways of Provence, Avignon`s mixed culture, gastronomy, world-class wine, or the UNESCO World Heritage Sites, you will be sure to create a memorable travel experience in the city of Avignon. Palais de Popes (Pace of Popes), Pont St-Benezet, Musee du Petit Palais, Place du Palais, Musee Calvet, Basilique St-Pierre, Eglise de St-Agricol, Porte du Rhone and so much more! The most charming center in all Provence, this university town was once a seat of aristocracy, its streets walked by counts and kings. 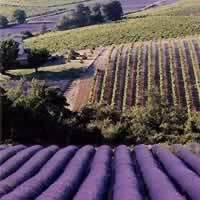 The countryside of Aix-en-Provence nearby attracts every year, many tourists. The gentle way of life, the incomparable light fascinated the artists and its beautiful countryside inspired the painter Paul Cézanne for a lifetime. Summer brings frequent cultural events, ranging from opera to jazz, June through August. Musee Granet, Cours Mirabeau, Caumont Centre d`Art, Mont Saint-Victoire, Cathedral St. Sauveu, Camp des Milles, Atelier Cezanne, Terrain des Peintres, Fondation Vasarely, Thermes Sextius, Pavilion de Vendome, and so much more! 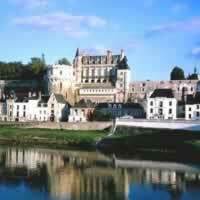 Situated at the junction of the Loire and Cher rivers, Tours is an excellent base for visiting the region's magnificent châteaux. 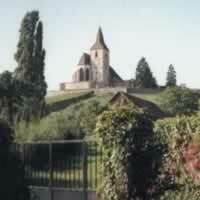 The original home of the French language and the `art de vivre`, Tours is a land of harmony and proportion. Today, it is a modern, lively centre; with a thriving university, cultivating economic development. You can taste its charm visiting the old quarter, the Gothic Cathedral of St. Gatien, Touraine Wine Museum, the fine-arts museum and Plessis les Tours. The Old Quarter and Pilgrims, Place Plumereau, Priory Saint-Cosme, Saint-Gatien Cathedral, La Psalette Cloisters, Saint-Martin Basilica, Botanical Garden of Tours, Museum of the Compagnonnage, Markets, Châteaus, and so much more! 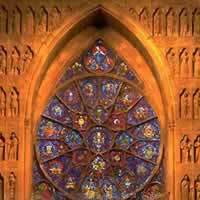 Must See`s: The Sanctuary of Our Lady of Lourdes, Chateau Fort, Pic du Jer, Le Cachot, Moulin de Boly, Chemin de Croix, the Grotto of Massabielle, Rosary Basilica, Lourdes Covered Market, Grottes de Betharram, Cirque de Gavarnie, and so much more! Marseille is the second-largest city in France and its premier port. The Vieux Port, is still at the center of city life, with fishing boats, yachts and cabin cruisers all moored together, though larger ships. Ancient remains, early modern buildings, and twentieth century office and housing blocks make up the physical fabric of a thriving city. Urban infrastructure, Mediterranean climate and a convenient location make it an attractive center for vacations and conventions. Must See`s: MuCEM, Villa Mediterranee, Musee Regards de Provence, Vieux Port (Old Port), Cathedral of Saint Mary Major, Le Panier, Musee Cantini, Chateau d`If, Calanques National Park, Le Canebiere, Basilique Notre Dame de la Garde, and so much more! 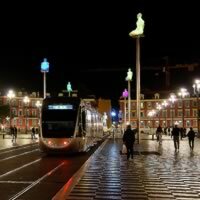 Nice is a cosmopolitan city with a rich and intriguing history. It`s an attractive destination with its famous waterfront, the bustling and atmospheric Old Town, a mix of history, culture, unique cuisine, beautiful vistas and exceptional weather! Enjoy a stroll through the flower and food markets in the Old Town with stalls selling colorful blooms and local delicacies, check out the panoramic views over Nice and the Bay of Angels atop Castle Hill, relax on the turquoise waters of Nice`s world-class beaches, and explore the many museums or galleries scattered throughout the city. 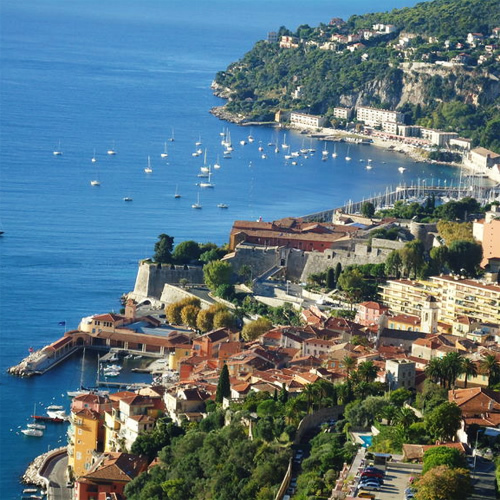 There is something about Nice that will leave you longing for more! An excellent combination! Visit Paris (The city of lights with impressive monuments, museums, culture and gastronomy), then continue to Nice (capital and gateway to the Riviera, with its brilliant sunshine and relaxed living). Travel between them with flights. This is a flexible vacation package. Select your number of nights in each city, desired hotel and activities. Visit Nice, the unofficial capital of the Cote d’ Azur (French Riviera), before heading to Avignon, a beautifully preserved medieval town, and finally Marseille, France’s second largest city, with a hip, eclectic vibe and world-class museums, galleries and performing arts. Combine these destinations with a train and rental car. This is a flexible vacation package. Select your number of nights in each city, desired hotel and activities. If excitement is your ideal vision for your vacation in Europe, then this package combining France and Italy is for you! Begin in Nice (the capital of the Riviera, even though it is often overlooked; brilliant sunshine and rocky beaches to explore lead visitors here) and continue with a flight to Rome (centuries of artistic achievement, romantic narrow alleys, glorious food and scenery). This is a flexible vacation package. Select your number of nights in each city, desired hotel and activities. A glamorous combination of cities throughout France, complete with a rental car. This is a popular option among our frequent travelers as it allows the opportunity to explore at your own leisure. 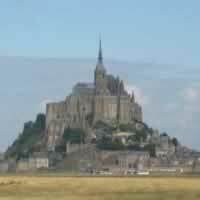 Visit romantic Paris, Rouen, Bayeux, Mont St Michel, Blois, Avignon and Nice. 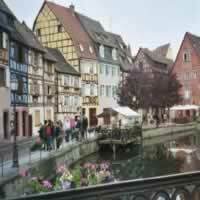 These areas are not necessarily among the `tourist` route and will provide a glimpse into the beautiful French way of life, with an authentic feeling. This is a flexible vacation package. Select your number of nights in each city, desired hotel and activities. A fantastic combination! 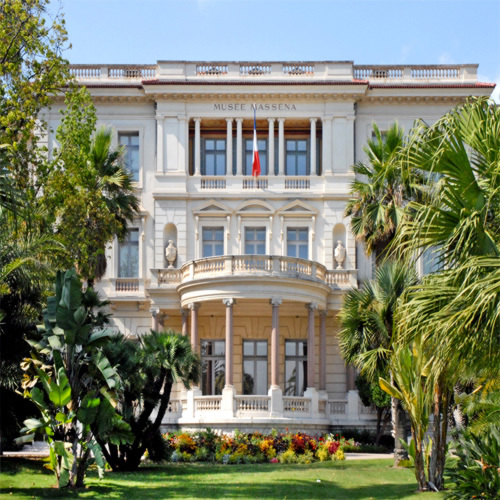 Experience the hustle, bustle, and glamor of London (grand museums, stunning architecture, Royalty, glorious parks, and an amazingly diverse cultural scene) and the gritty, laid-back lifestyle of Nice (capital of the French Riviera; sun-filled beaches, quiet cafes, and understated luxury). Travel between these cities by plane. This is a flexible vacation package. Select your number of nights in each city, desired hotel and activities. 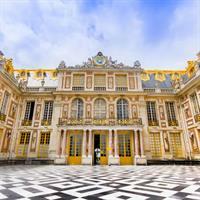 Europe offers a window into the world, and this vacation package does not disappoint! Begin with a stay in stunning Barcelona (ostentatious architecture by the brilliant Gaudi; churches, museums and bustling public squares - always on the biting edge of fashion, food, music and nightlife), continue by plane to underrated Nice (magnificent sunshine and under-crowded beaches). This is a flexible vacation package. Select your number of nights in each city, desired hotel and activities. Take your love of art, luxury, and relaxation to the next level! Visit laid-back Nice (brilliant sunshine, relaxed luxury) and stunning Venice (sumptuous palaces and romantic waterways) by air. This is a flexible vacation package. Select your number of nights in each city, desired hotel and activities. A wonderful combination of stunning cities in Europe. Combine Rome, Venice, Nice and Paris. See all the art, museums, churches, historic palaces, parks and more than you can possibly imagine! This is a flexible package. Select your number of nights in each city, desired hotel and activities. 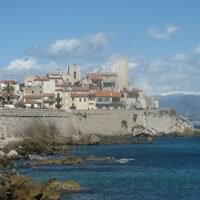 Experience the beauty and warmth of Southern France, with lovely landscapes, friendly people and delicious food and wine. With this vacation package you will visit Bordeaux (one of the world`s most important wine regions; a cultural center), Toulouse (a peaceful and romantic spot), Carcassone, Avignon (one of the most interesting and beautiful medieval cities in Europe) and Nice (brilliant sunshine, rocky beaches) with the TGV High Speed trains. These fascinating cities are full of beautiful old churches, museums with inspiring art, magnificent old manor homes, lush scenery and more! Experience it all. This is a flexible vacation package. Select your number of nights in each city, desired hotel and activities. Nice, the capital of the Riviera, is the largest city between Genoa and Marseille. It`s also one of the most ancient, having been founded by the Greeks. With all the resources of a big city but the feel of a beach town, Nice is warm, homey, and intimate. The city has, on average, 300 days of sunshine per year. You are sure to love the famous cafes, which have been home to musicians and artists for years. This is a flexible vacation package. Select your number of nights in each city, desired hotel and activities. 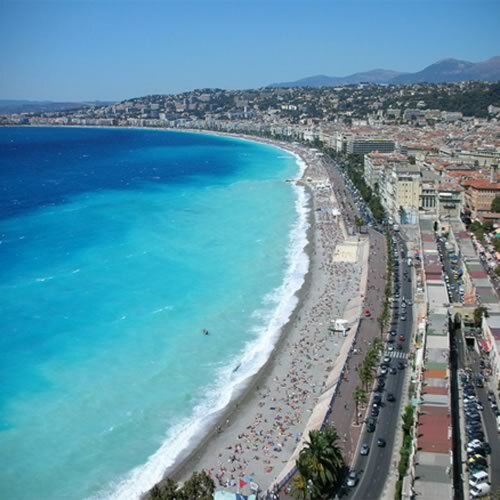 Base yourself in Nice with a rent a car for exploring the area on your own. Paris, Toulouse, Carcassone and Nice via the TGV high speed train. Everything was great and easy to use. We loved how the app was accessible offline and that was a a great resource for us! We thank you for quick responses when we had questions prior to trip and all accommodations were excellent. Great trip!